This is the last of a 3 part series describing a comprehensive maintenance schedule for your vehicle. We’ve broken the list down into checks you should be doing every week, every month, and every 6 months. Don’t forget to continue the weekly and monthly checks to make sure everything is still alright even when you do the 6 month checks. The 6 month maintenance schedule includes some more advanced checkups that may require a few more tools, and possibly a jack and some jack stands. Make sure you are comfortable with the tools you are using and your vehicle is in a secure, well supported and braced condition before you crawl underneath. You’ve been checking your oil ever week and your coolant level every month, now would be a great time to check all the rest of the fluids in your vehicle. As you are checking them check for a burnt smell, being dark brown or black in color and for proper level. This could include checking your transmission fluid and in a truck or SUV your transfer case and differential fluid as well. Many vehicles have a dip stick for the transmission fluid level. That level should be check while the vehicle is running. There is also usually a “hot” and “cold” level on a transmission dip stick so consider checking the fluid level first thing in the morning before you’ve driven anywhere that day. Your transfer case and differentials usually just have a drain and fill plug. The fluid level is considered full when it is just up to the bottom of the fill plug. With the proper size wrench, open the fill plug. If fluid starts to drain out, consider the level good. If fluid doesn’t come running out, use your finger without a glove on to feel for the fluid level inside the fill hole. Top off or change all of these fluids as necessary. Every 6 months it is also a good time to check your suspension components and joints. Before you jack your vehicle up check all four wheels. Start by bouncing your vehicle up and down, like a basketball. Once you stop pushing on your vehicle it should stop bouncing quickly. If it doesn’t it may be time to replace your shock absorbers. Always replace them in pairs, either both front, both back, or all 4. With the tire off the ground grab the tire in your hands. With your hands at the 3 and 9 o’clock position try torqueing the wheel back and forth. Do this again with your hands at the 12 and 6 o’clock position. You should be feeling for play in the wheel and listening for any clunks, clanks or crunches in the suspension joints. If you feel play in the wheel at the 12 and 6 o’clock position you may have a bad wheel bearing or a bad strut. If you feel play at the 3 and 9 ‘clock position you may have worn steering joints. While you have your vehicle off the ground it is a good time to check a few other things under your vehicle. Inspect your exhaust system for excessive rust, holes, brakes and worn hangers. 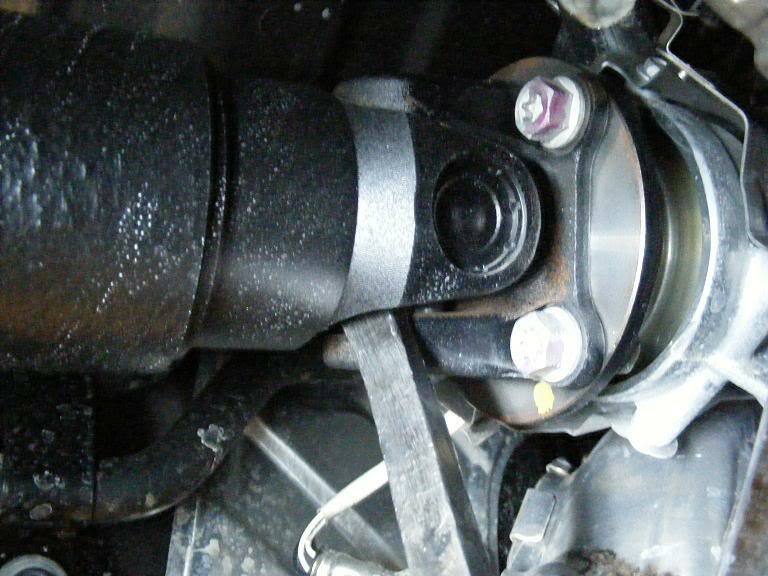 If you have a rear wheel or all-wheel drive vehicle it is also a good time to check the drive shaft u-joints. Grabbing the driveshaft and trying to turn it clockwise and counterclockwise. IF you hear clunking from either end it may be time for new u-joints. This is also a good time to check for leaks from your transmission, transfer case and differentials. The last thing you should consider doing is detailing and waxing your vehicle every 6 months. If you have a leather interior this would also be a great time to condition the leather. Keeping your car clean will help keep stains from setting in and help you notice any damage done in the last 6 months. A fresh coat of wax will also help keep your paint from becoming oxidized or damaged from the sun and leather conditioner will keep you seats from getting dry and cracking. 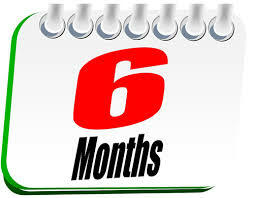 This is also a great time to go through your vehicle’s maintenance log again and make sure everything is up to date. Consider checking even the longest term maintenance items such as time belt changes, transmission flushes and cooling system flushes. If your vehicle is do for any timing belt change that includes a water pump, or a cooling system flush make sure you pick up a bottle of BlueDevil Radiator Flush and properly flush your cooling system to make sure it is operating properly and keeping your engine cool and safe. You can pick up BlueDevil Radiator Flush here. As always if you discover any leaks during your inspections get the right leak stop product from BlueDevil’s full line of products at gobdp.com!